Fluid,German luxury undiluted solution, maintain natural and soft scent for bathroom, toilet, kitchen, bed room, work, shoe rack, car, capet, valentine gifts. 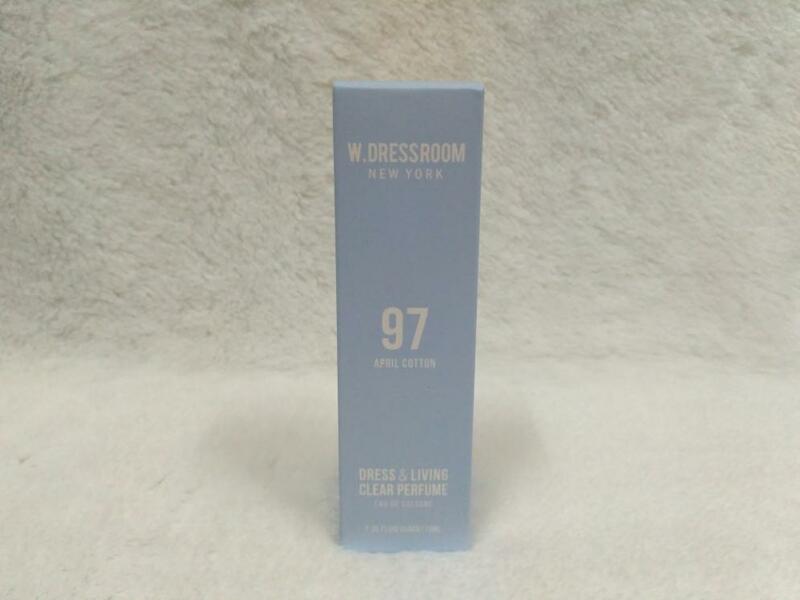 Radiant your Skin Care with the [W.DRESSROOM] Dress & Living Clear Perfume 70ml! 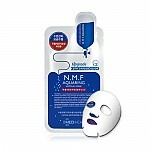 we aim to provide you best korean products to take good care of your skin, including Cosmetics, Accessories, Accessories. Hydra Accessories online. German luxury undiluted solution, maintain natural and soft scent for bathroom, toilet, kitchen, bed room, work, shoe rack, car, carpet, valentine gifts. 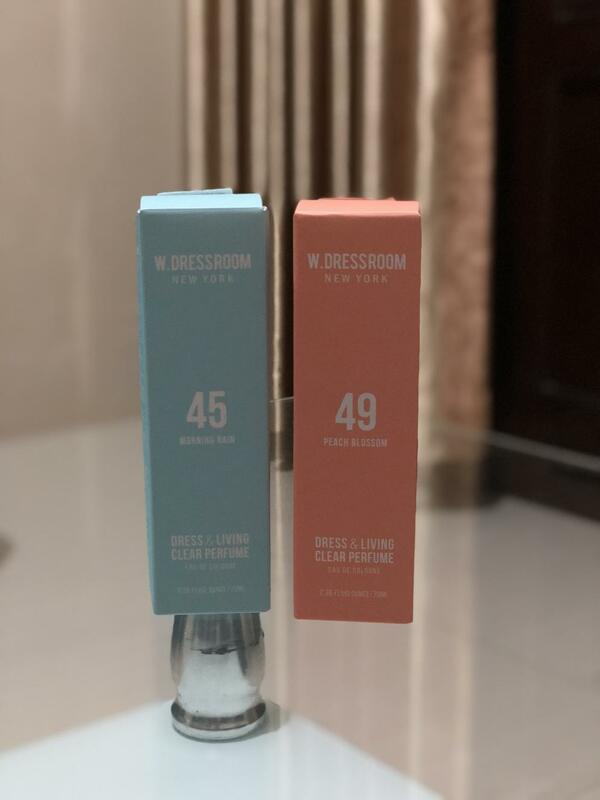 Dress & Living Clear Perfume, Anti-bacteria, deodorant. #No.02 Coco.Conut - Absolutely adorable creamy scent with warmness real coconut milk blended with sweet vanilla beans. #No.12 Very Berry - Imagine a blackberry at its peak maturity very sweet and tangy with incredible freshness. #No.34 Always Happy - Sweetest scent will make your day happy imagine a lovely butterfly is happily dancing in the flower garden. #No.41 Jas-mint - The mint overpowers the jasmine in a cooling freshness feel the zesty mint blending with white pure jasmine. 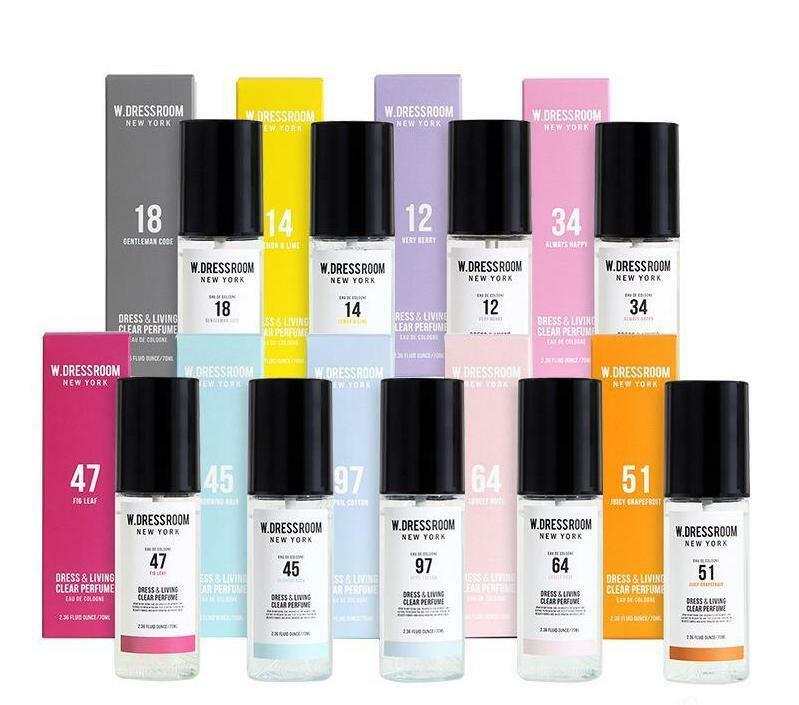 #No.45 Morning Rain - Clean and calm moist scent of blooming flowers with a refreshing breeze a small bottle of dew at dawn contains cool and fresh nature. #No.46 Pure Lily - A soft white floral aroma reminding you of a fresh garden it is an exotic and trimmed scent of lily. #No.47 Fig Leaf - A distinctive scent of fig juice with fresh green aroma of fig leaf and unique sweetness. #No.49 Peach Blossom - Elegance and sweetness of savory peach it contains the real sweet and fresh peach. #No.50 Green Apple - Dual charm of sweetness and freshness feel the charming freshness of crispy green apple. 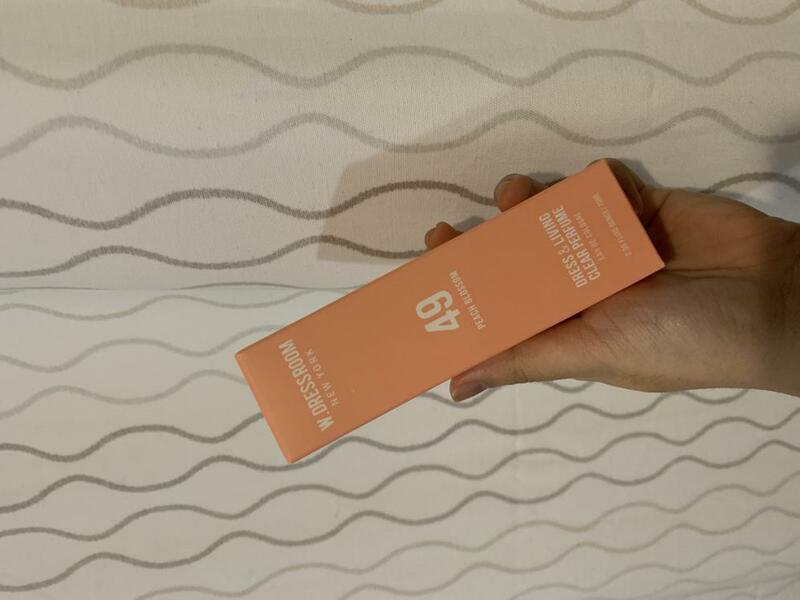 #No.51 Juicy Grapefruit - Youthfull and sweet citrus scents containing a fresh grapefruit fill your day with energy by feeling drink of cool grapefruit juice. #No.53 Mediterranean Breeze - Fresh and clear mediterranean ocean scent of refreshing breeze as if you are walking along the meditterranean coast. #No. 55 Green Grape Sherbet - Fresh grape feast. The cool grape fragrance, full with fresh fruit and the sweetness of candy scent. #No.64 Lovely Rose - Fragrance containing the loveliness of a rose inviting you in the elegant and romantic rose garden. #No.90 Pomegranate - Fragrance of mystery and refreshing sweetness of pomegranate feel the energy of fresh pomegranate. #No.97 April Cotton - Fragrance that you want to rub on your cheek feel the warm and silky soft with comfort. Now shipping are delayed because of many order of cyber monday and black friday. Today your package will be shipped out. 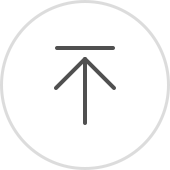 tin…@gmail.com Recommend to use this product for a beautiful day. Smells like peach and very nice. say…@gmail.com The smell is good, really like peaches. but as it said the fragrance doesn’t last long. Packaging is very safety, no leaks at all.